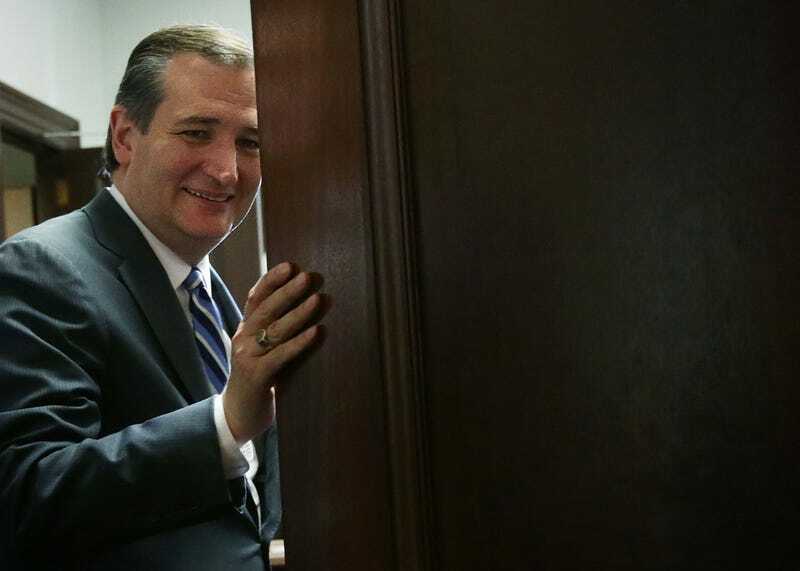 Senator Ted Cruz, long believed to be a human man, will hold Congressional hearings about artificial intelligence tomorrow. And while Gizmodo has yet to confirm or deny the rumors that Ted Cruz is trying to build his own Westworld-style amusement park, we’re sure everything is fine. The hearings are titled “The Dawn of Artificial Intelligence,” and will include testimony from representatives of Microsoft, Carnegie Mellon University, and NASA, among others. The majority of speakers listed for tomorrow seem pretty optimistic about the future of AI, including Dr. Eric Horvitz of Microsoft. “There have been concerns about the long-term prospect that we lose control of certain kinds of intelligences,” Dr. Horvitz told the BBC last year. “I fundamentally don’t think that’s going to happen. Horvitz’s comments put him at odds with some technologists, scientists, and business people who are concerned about the future of artificial intelligence. Elon Musk, Stephen Hawking, Noam Chomsky, and Steve Wozniak were among over 1,000 signatories to a letter last year who expressed concerns about artificial intelligence and called for a ban on autonomous killing machines. The White House Office of Science and Technology Policy issued a report last month titled “Preparing for the Future of Artificial Intelligence,” which outlined the potential uses of AI in both government and the private sector. And it appears that tomorrow’s hearings will use the report as a jumping off point. When it comes to the future of AI in war, the report notes that while there is plenty of concern out there, the Obama administration is doing everything it can to ensure that autonomous weapons will be used in ways “consistent with shared human values.” The report makes no mention of what a Donald Trump administration’s conception of “shared human values” might look like. The hearing starts tomorrow at 2:30pm ET, 11:30am PT, and live video of everything will be streaming at www.commerce.senate.gov. Again, there’s probably very little truth to the rumors that Ted Cruz is only interested in starting a robot-infested farm with the sole purpose of killing androids “just to see what God feels like.” But we won’t know for sure until tomorrow, I suppose. We’ve reached out to Senator Cruz’s office and will definitely update this post if we hear back.